Hungry? Need a quick bite to eat on a busy day? 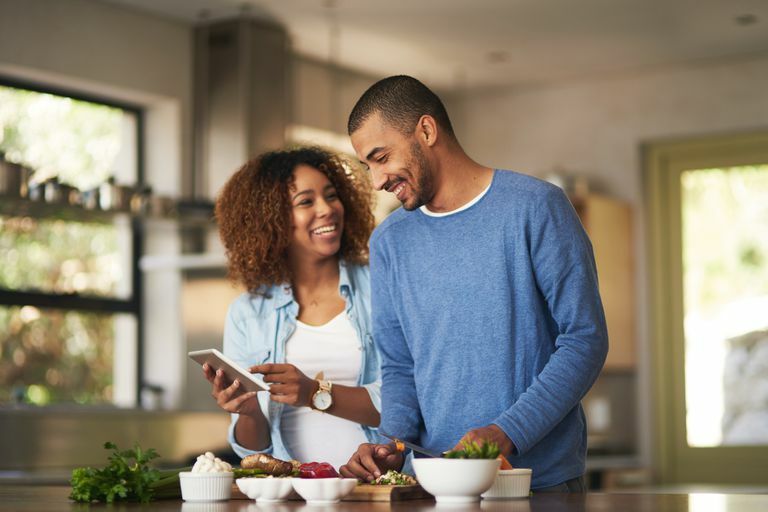 With a smartphone in hand, ordering and getting a great deal on your favorite quick bite is simple and quick using these apps. Download, take a look around, and feed your hunger with the best fast food restaurant apps of 2019. Save your favorites to make ordering faster and simpler the next time. Favorites are hidden from view, slowing down the ordering process slightly. Panera Bread is known for its healthy and hearty eats. However, the app is known for making healthy simple and quick. The app gives you the option to place an order, customize it to fit your needs, and save your order for fast ordering the next time. You can even use Panera Bread's app to pay using Apple Pay, making checkout fast. Panera's app is free to download for both iOS and Android devices. You can customize your order just the way you like it and save your favorites for future use. For full functionality, your McDonald's app will need to use your location services at all times. There's nothing quite like free food and deals on your favorites. The McDonald's app offers all of that and more through its mobile app. You can use your phone to pay and pick up your order once it's complete, while also having access to exclusive deals for app users, advance notice of sweepstakes, and more! The McDonald's app is free to download for iOS and Android devices. You can upload a current gift card to your mobile device so it's always with you. Your Starbucks balance on your gift card will take at least 24 hours to update properly. Who doesn't love free coffee, especially when it comes from Starbucks? The Starbucks app makes it easy to track your Stars to receive rewards on your purchases, including free food or coffee of your choice. Plus, you can use the Starbucks app to order, pickup, use your gift cards, and more. The Starbucks app is free to download for iOS and Android devices. Ordering Chick-fil-A from your mobile device has never been easier. The app remembers what you like and how you life it using the customized menu. The Rewards program is complex and difficult to understand, including three different tiers. Chick-fil-A is known for their chicken sandwiches, but their app is known for providing a rewards program that results in free food rewards and more. You can use the Chick-fil-A app to order, save your favorites for later, and see an overview of your points status. The Chick-fil-A app is free to download for iOS and Android devices. You can choose between delivery or pickup. Apple Pay and Google Pay make it easy to order fast from the app. There have been bugs when attempting to add a gift card to your Chipotle balance. The gift card may show $0 on the app. The burrito of your dreams is no longer a fantasy. Using the Chipotle app, you can create a unique order, customizing your food to your specifications. Plus, you can use Apple Pay with your iOS device or Google Pay with your Android device for fast payment. The Chipotle app is free to download for iOS and Android devices. The app is absolutely beautiful to look at and easy to use. Ordering a shake or a burger has never been easier to do with fast pickup. When choosing a pickup time, sometimes that time is unavailable by the time you place your order, thus causing you to start all over again. Ready to cut the line? Using the Shake Shack app, you can do just that. Order through the mobile app and pick up your order at the nearest Shake Shack to completely skip the wait. Plus, you can see all nutrition and allergen information at your fingertips, view the unique Shack Cam, and see the complete menu quickly. The Shake Shack app is free for both iOS and Android devices. Choosing your own pickup time makes ordering dinner or tomorrow's lunch a quick and seamless experience. The interface is a bit clunkier than other apps in this list and could use some work. Want to seamlessly order tomorrow's lunch? You can do that using the Taco Bell app. Your Gordita is just a tap away using fast mobile ordering, payment, and full menu based on the location of your choice. At checkout, you can choose a pickup time that works best for you, whether it's now or later. The Taco Bell app is free to download for iOS and Android devices. Pick your entrees, sides and more with an easy to view interface. Complex orders are made simple using the group ordering tool. The app is quite buggy compared to the rest of the apps on this list. However, recent updates have improved the system. When you need to order food for a group, using mobile ordering can be tough. This is where Panda Express excels. Their group ordering tool makes it easy to pick menu items, drinks, and more to complete your order. Plus, you can choose a pickup time that best suits your needs. The Panda Express app is free for iOS and Android devices. Want to add cherry to your limeade? Want to do something more complex? You can do it through the app. Payment is available through the mobile app. You can continue as a guest. However, to take advantage of ordering ahead, you'll need a Sonic account. You heard that right. Customers who use the Sonic app to order ahead receive half-price drink discounts. Plus, customizing your unique drink is easy using Sonic's customize feature. It's one of the few apps that show you how to customize your order prior to purchasing, making the learning curve vanish. The Sonic app is free for iOS and Android devices. Need help ordering? The Domino's Ordering Bot can help! It's an AI assistant there to help you order the perfect pizza. Want to earn free pizza? Domino's offers great rewards through their Piece of the Pie Rewards program. The app tends to run a bit slower compared to other apps on this list. Knowing exactly when your order is ready for pickup means so much when you're busy and on the go. The Domino's app makes it easy with their Tracker which allows for instant notifications on your mobile device. Domino's is also available on the Apple Watch for an even closer look at your pizza order. The Domino's app is free to download for both iOS and Android devices.